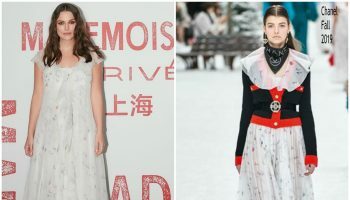 Celebs were in attendance at the Chanel Spring 2019 show . Karl Lagerfeld changed Paris’s Grand Palais into Chanel By The Sea for the brands presentation. Below are the attendees.